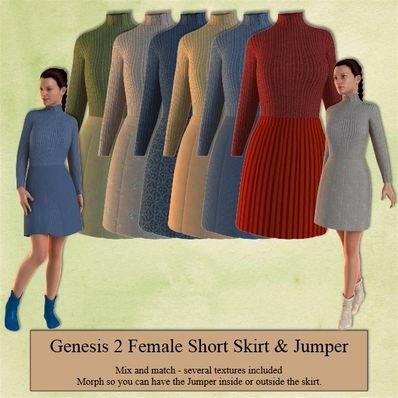 Short Skirt & Jumper for Genesis 2 Female for use in Daz Studio 4.6. Morphs included to fit jumper inside or outside the skirt. So gifted and talented ! A very practical and down-to-earth outfit! Thank you! Very nice, like all your clothes!